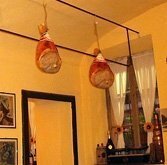 Hams hang from the ceilings of this old-school osteria. When it’s packed (often on weekends) it can be off-putting: Best for Parma veterans. 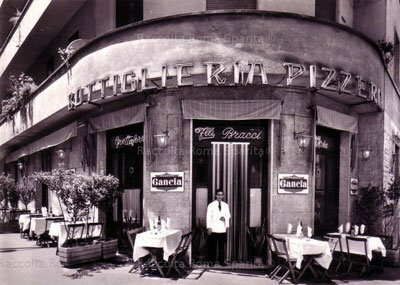 Otherwise you can get an interesting meal that ranges from the delighful (gnocchi con gorgonzola e noci; blue cheese and walnuts) the to the unusual (vecchia di cavallo; horse meat). Risotto alla Parmigiana is abundant, as is the stinco. Tortelli are filled with ricotta, pumpkin (zucca), potatoes or ricotta and beet leaves (erbette).